I have been trying to show a background color to the label that I am using in my line chart. I know that this is possible in the Map chart, but is there any way to get the same in line chart as well. Below is the screenshot of the sample label as required by me. I have used annotations to achieve that green box, however I need to achieve the same for all the labels without annotations since my database has large data set. Attached is the sample workbook. Any suggestions would be of great help. To make marks more visible against a background image or map, surround each mark with a solid contrasting color called a halo. Mark halos are available when you have a background image or a background map. On the Color drop-down control, select a mark halo color. 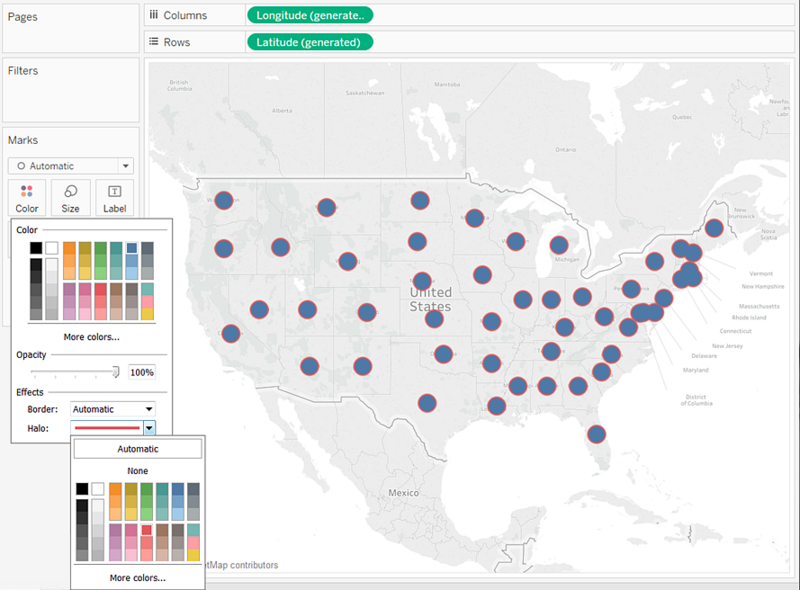 In Tableau Desktop, when you are using the Line mark type, you can add a marker effect to show or hide points along the line. You can show selected points, all points, or no points. 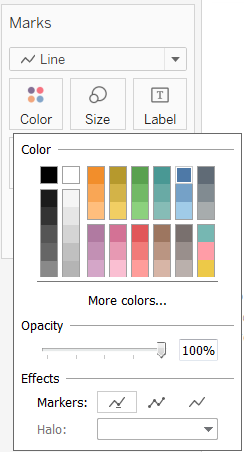 On the Color drop-down control, select a marker in the Effects section. Note: This option is not currently available in Tableau Server or Tableau Online. Change the marks of your label from text to details. workbook attached for your reference. Let us know if this works.